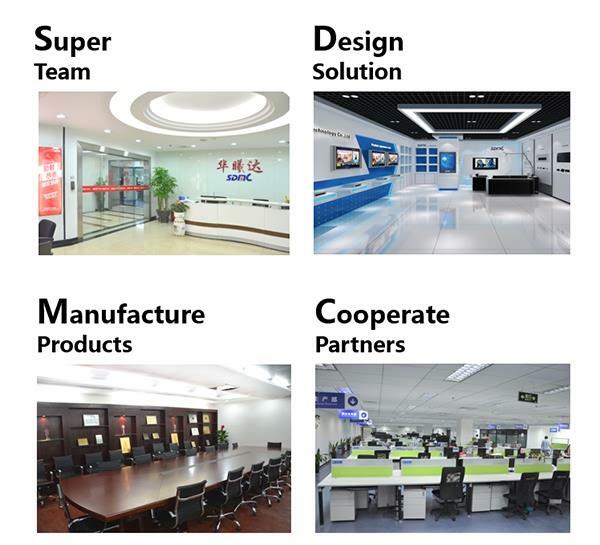 Founded in 2003, Shenzhen SDMC Technology Co., Ltd. is a national high-tech enterprise, national IC design enterprise and Shenzhen key software enterprise. In 2014, SDMC has successfully listed on the NEEQ (Stock Code: 430755), to be one of the listed enterprises which professionalized in digital TV industry in China. marketing and support of OTT set-top box, IPTV set-top box, hybrid set-top box, Android HDMI TV dongle, and OTT Platform - XMediaTV with OEM/ODM service. SDMC solutions support telecom operators, cable operators and content aggregators to expand their business in the field of domestic and overseas telecom, broadcasting, hotel, hospital, school, residential and other industries. With the mission of providing advanced DTV, Internet Technology, and accelerating the development of human civilization, SDMC tech engages on the innovation and R&D of digital visual telecommunication products, provides TV end-to-end total solution, builds up operating value-added service platform, and becomes a giant in the digital TV industry. A developing and boosting SDMC, leading the trend of DTV industry, strives for the most profit for cooperators, brings greatest satisfaction to the customers, welfare to employees, income to shareholders and make contributions to the society. Why choose SDMC as your partner? * SDMC is a national IC design enterprise and a key software enterprise in China. * Independent home media solution and OTT back-office system. * More than 15 years experience in digital and internet TV industry. * More than 100 types of product patent. SDMC owns complete production line. Every detail is focused on the assembly lines from solder printing, SPI, placement, IC placement, re-flow soldering to AOI.